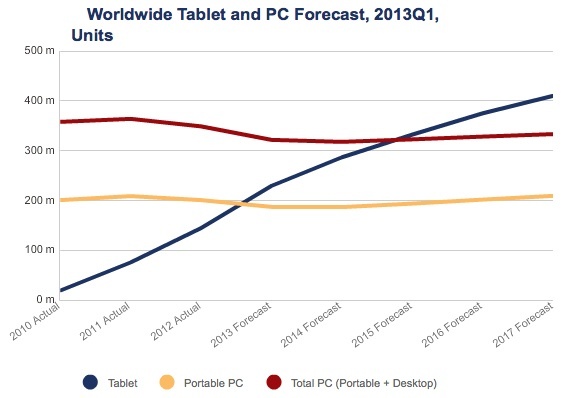 Tablet shipments will outspace PC shipments by 2015, a new study from IDC forecasts. IDC expects tablet shipments to surge 59% to 230 million units in 2013, while PC sales are anticipated to decline nearly 8%. By 2017, IDC says that only 333 million PCs will be sold worldwide, the same year that tablet shipments will reach 410 million.